Core10, Inc. (Core10), a 100%-U.S.-based software development company that creates financial technology solutions, has closed a $3.5 million funding round led by FINTOP Capital. Also participating are the West Virginia Jobs Investment Trust and a host of West Virginia-based angel investors. A pioneer of the hereshoreTM movement, Core10 is an innovative software development company dedicated to building tomorrow’s financial infrastructure at a value while restoring local communities. With offices in Nashville, TN and Huntington, WV, Core10 aims to create 250 additional technology jobs by the end of 2020, with the majority of those jobs located in West Virginia, a state that is embracing the transition to the digital economy. Core10’s expertise in bank technology integrations positions the company as a key stakeholder and strategic partner for banks, credit unions, and leading fintechs who focus on connecting financial data and applications across various institutions and platforms. Core10 will leverage the series A funding to expand sales efforts nationwide and recruit software development talent in Nashville as well as southeastern Ohio, eastern Kentucky, and West Virginia for permanent positions. Core10 is a 100%-U.S.-based software development company that creates financial technology solutions for the banking, healthcare, insurance, and retail verticals, among others. 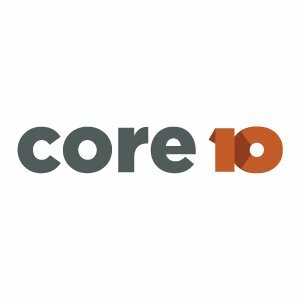 With offices in Huntington, WV and Nashville, TN, Core10’s dedicated talent provides world-class outsourced technology expertise at a value without any of the headaches associated with offshoring. By hereshoring fintech software development, Core10 will both build the financial future and help the communities in America’s heartland thrive. To learn more about Core10, visit www.core10.io. FINTOP Capital, managed by seasoned financial technology operators, seeks B2B service-enabled SaaS and software companies in the fintech space, and brings real world understanding, networks, experience, and capital to grow those companies. Target companies have a proven product in the market, real revenues, and are helmed by veterans of the industries they’re looking to shape. To learn more about FINTOP Capital, visit www.fintopcapital.com.